Behavior Health: Crisis Intervention | Family Counseling Center, Inc.
Telephoning one of our outpatient offices. Services include: telephone consultation, outreach crisis response, assessment, referral, placement in appropriate setting, family support, transportation arrangements for placement, and follow-up. 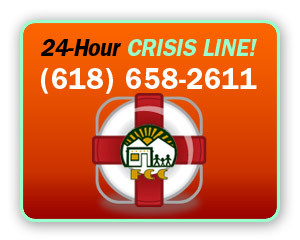 Anyone calling the FCC outpatient office in any county may access the Crisis Intervention Hotline. Alexander, Hardin, Johnson, Pope and Pulaski Counties. 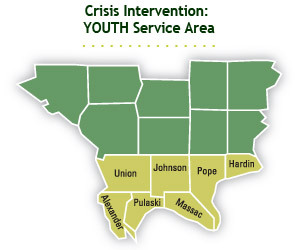 Alexander, Hardin, Johnson, Massac, Pope, Pulaski, and Union Counties. >> Click here more information about our Crisis Intervention Services!